Lynne Twist speaks with an urgency that is so captivating, it wakes you up. She has witnessed and lived among a world few of us will ever know. When the majority of us would quickly resort to anger, scolding and despair, Twist exudes genuine and contagious hopefulness in her voice, having great faith in our ability to live up to our human potential, considering the possibility that we in the modern world could learn to hold the global community’s well being as our greatest ultimate priority. For more than 40 years, Lynne Twist has been a recognized global visionary committed to alleviating poverty and hunger and supporting social justice and environmental sustainability. From working with Mother Teresa in Calcutta to the refugee camps in Ethiopia and the threatened rain forests of the Amazon, Lynne’s on-the-ground work has brought her a deep understanding of the social tapestry of the world and the historical landscape of the times we are living in. There are two branches of Gratitude. One is Gratefulness, and the other is Thanksgiving. 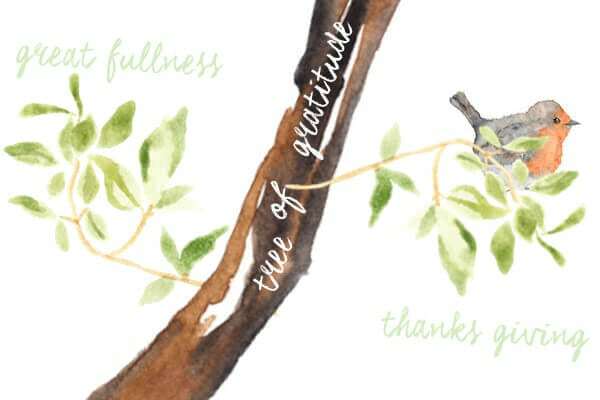 The Gratefulness branch is when the Bowl of Life is so full that it’s almost overflowing, but not quite. So full that it’s almost bowed at the top, but not quite dribbling over the edges. And, that is the experience of the Great Fullness of Life. And when you’re in the Great Fullness of Life, you’re one with God, you’re one with the Universe, there is no “other”. And that is so Full Filling, that the Bowl of Life gives way and to overflow at last, which flows you directly over to the second branch, that of Thanksgiving. When you’re in the space of Thanksgiving, the Bowl of Life is absolutely overflowing. You’re so grateful that there is an “other” because all you want to do is contribute and serve and share and give and make a difference. And that is so Full Filling, that it puts you right back onto the other branch where you experience the Great Fullness of Life, where you’re one with God and there is no “other”. This talk is another reminder for me to do whatever I can, in whatever small way, to reduce my footprint on mother earth.